Phuhlisani NPC was contracted by Absa to prepare a series of open access research reports to contribute to a reliable knowledge base on land reform in South Africa. These reports informed submissions made to the Constitutional Review Committee tasked with investigation the necessity of amending Section 25 of the Constitution. This Phuhlisani NPC Land Knowledge Base Review paper provides a systematic overview of the evolution of land reform policy in South Africa from the early 1990’s up to the present day. It seeks to contextualise a series of review papers which analyse principle land reform programme components: restitution, redistribution and tenure reform in more detail. Together these research reports aim to contribute to deepening the national conversation around land reform. Dr de Satge is the Director of Research and Collaborative Learning at Phuhlisani NPC. The paper is made available in terms of a Creative Commons License Attribution-NonCommercial-NoDerivs (CC BY-NC-NDA). de Satgé, R. (2018). Changing land policy: 1990-2018. Land Knowledge Base Review Paper. Phuhlisani NPC. This Phuhlisani NPC Land Knowledge Base Review paper by Elmien du Plessis provides a short history of land dispossession in the 19th century, prior to the 1913 Land Act, which is the cut-off date for restitution claims. The paper provides figures – in so far as such figures are available – of the distribution of land claims to date, and those that have been settled. The paper outlines the challenges that have arisen in restitution programme and reviews key judgments in the courts. du Plessis is an Associate Professor in Land Law and Legal Pluralism at North West University. This Phuhlisani NPC Land Knowledge Base Review paper by David Mayson and Ronald Eglin provides an in-depth review of the different phases of the land redistribution programme in South Africa across the Mandela, Mbeki and Zuma presidencies. The paper examines a range of constraints impacting on land acquisition and examines a wide range of factors hindering land redistribution and land reform more broadly. David Mayson is the Phuhlisani NPC CEO and an experienced land reform practitioner and researcher. Ronald Eglin is a specialist on urban informal settlements at Afesis-Corplan a leading land sector NGO. This Phuhlisani NPC Land Knowledge Base Review paper by Siyabu Manona, Rosalie Kingwill, Ronald Eglin and Sonwabile Mnwana provides a comprehensive overview of the tenure landscape in South Africa and makes recommendations for new approaches highlighting the urgency of rebuilding land administration as part of an integrated property rights system. Siyabu Manona is Director of Land and Tenure Policy and Implementation at Phuhlisani NPC. Dr Rosalie Kingwill is a tenure specialist and a research associate at PLAAS. Sonwabile Mnwana is an Associate Prof who heads the Sociology Department at the University of Fort Hare. Manona, S. Kingwill, R, Eglin, R. and Mnwana, S. (2018). Land tenure review. Land Knowledge Base Review Paper. Phuhlisani NPC. This Phuhlisani NPC Land Knowledge Base Review paper by Michael Aliber asks hard questions about the performance of the land reform programme to date. What has it cost? How much land has been transferred? Who has benefitted? What are the implications of inadequate data? Aliber, M. (2018). Assessing the performance of land reform. Land Knowledge Base Review Paper. Phuhlisani NPC. The South African Cities network launched its third report on urban safety. 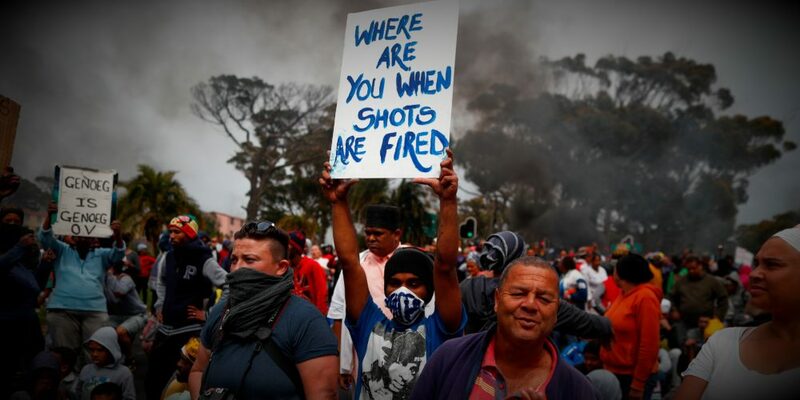 The report was based on crime statistics in nine metros — Buffalo City, Ethekwini, City of Johannesburg, Mangaung, Nelson Mandela Bay, Mangaung, City of Tshwane, Msunduzi and Cape Town — that make up the Cities Network. One aim of the report was to highlight that security doesn’t necessarily mean safety, and to begin to pilot strategies that will result in South Africa having safer cities. Residents say some of the listed properties for development by City of Joburg have been hijacked. The R82, an arterial road linking Vereeniging to Johannesburg, remains closed due to the public unrest.